What makes custom Made in USA Magnets a Stand Out? While selecting promotional magnets at any US based online magnet stores, you are likely to encounter a term “Made in USA magnets”, which contextually refers to a magnet/magnets “all or virtually all” produced in USA. Read more to know get answers for all how, why, what’s you always wanted to know about them. Why do promotional magnets made in the USA make a difference? Contextual Aspect – As the name implies, Made in USA magnets are produced using high quality magnetic materials, which are largely outsourced from different parts of the country. Emotional Impact – As it is commonly known, that in last few decades, many American companies were used to manufacturing and managing their operations from countries, where labor and raw materials were available at throwaway prices. China was the favored destination for American marketers who could reap maximum profits at lowest minimum investment. In many of these countries environmental factors and labor conditions were largely overlooked and dangerously exploited for benefits. In USA, extreme priority is accorded to environmental laws and working conditions and this has set benchmark for other nations around the world. This label would indicate that the magnet so produced adheres to stringent work laws and environmental laws prevalent in the country. Many compatriot Americans would feel pride in their investment of American –made custom magnets because they encapsulate virtues of consideration and respect for environment and labors involved in production. Health Friendly – Promotional magnets produced in USA – most easily fit into the tag of “super healthy” because they are produced using allergen- free, lead-free resources. Also, maximum importance is being given to pursue environmental friendly practices. 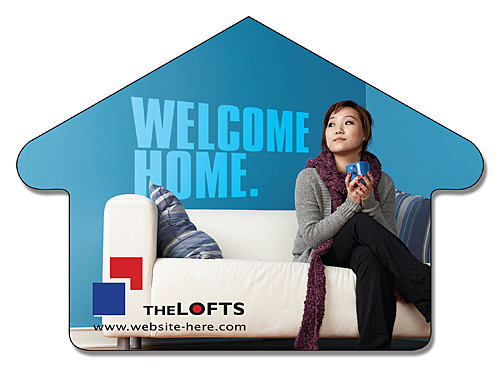 Why are the customized magnets and logo Magnets Made in the USA considered to be the best bet for investment? Crafted to maximum perfection – The term “Made in the USA” strictly implies that a particular product is produced in USA and it is supposed to match the American standard of requirement. Similarly, most custom made American magnets are produced to suit different budget, marketing and atmospheric requirements of US marketers. Maximum service term – These promotional magnets made in USA are expected to offer highest possible period of maximum service against their Chinese- made counterparts. This in terms offers maximum visibility to messages or graphics imprinted against them. Be it fridge magnets or outdoor safe magnets, they are produced to suit temperaments and temperature within US homes or over cars. It is seen that most outdoor safe magnets carrying the label survive longer than their Chinese counterparts. They continue to work in the same form for years, if left undisturbed. High perks offered – Only reputed online magnet stores manage offering “Made in USA magnets”, which means they are being offered with many perks such as free shipping, free art set- up, free online design proof, unlimited design proofs, and many more. Also, many of them offer best buy prices or discounts on bulk orders of these magnets. If not anything else, the feeling of pride and contentment of giving something back to the society, environment and fellow countrymen will remain with you throughout the life after investing in these magnets.